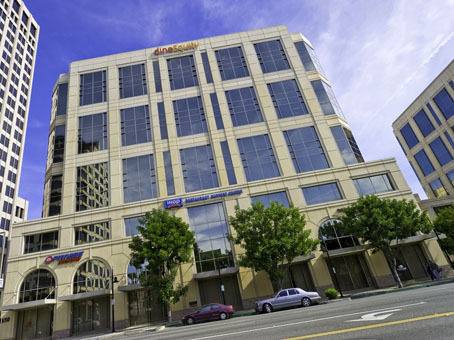 The Brand Boulevard Center is located on tree-lined streets in the heart of Glendale's business and financial district. While nearby Hollywood may be a symbol of the entertainment industry, much of the actual production occurs in Glendale and neighbouring Burbank. DreamWorks SKG, Walt Disney's Imagineering division and KABC-TV are in Glendale, while Warner Bros, Warner Music Group, NBC Universal, Walt Disney HQ, Cartoon Network, Viacom and PBS are in Burbank. Swiss foods multinational Nestlé has its US HQ in Glendale, while other major employers in the city include Americas United Bank, antivirus software company Panda Security, software company Nero AG, Acco Engineering Systems and various medical centers and colleges. Retail is also important in both cities with several upscale shopping centers. Glendale is served by four freeways and Amtrak rail services link Glendale and Burbank with each other and with Los Angeles. Bob Hope airport is close by.